This morning I woke up to snow…everywhere. And still falling. Chicagoland will be upgraded to a “blizzard” in just a few hours. Yikes! Naturally, I wanted to imagine myself somewhere tropical. So I made a tropical tasting protein shake and it was delicious! I used the protein powder I had on hand (Tera’s Whey) along with strawberries, banana and my favorite Trader Joe’s Vanilla Coconut milk. 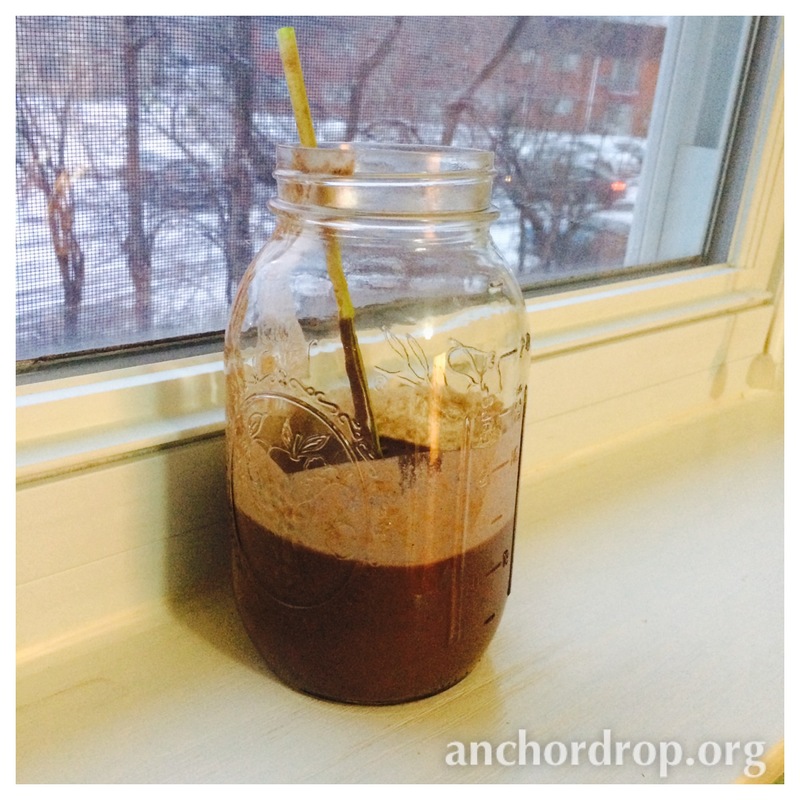 I added in some chia seeds for some extra omega-3s and boom – a tropical vacation in a glass. I was at Trader Joe’s this weekend and there was a large container on blueberries on sale. With the frigid weather outside, I couldn’t turn down the opportunity to have a taste of summer…if only for a few minutes in the morning. This shake is so fresh and yummy. Packed full of nutrients, proteins, and antioxidants to help start your day off right! Lyla and I like to create delicious smoothies in the kitchen. This week we created a treat for this very cold winter to help remind us of the warmer up and coming (not coming soon enough however…) summer sun. Who doesn’t love the thought of beaches? Sand? Or smoothies pool side?! Hope you enjoy it as much as we did!